In addition to damning America, he told his congregation on the Sunday after Sept. 11, 2001 that the United States had brought on al Qaeda's attacks because of its own terrorism. "We bombed Hiroshima, we bombed Nagasaki, and we nuked far more than the thousands in New York and the Pentagon, and we never batted an eye," Rev. Wright said in a sermon on Sept. 16, 2001. "Trinity UCC is rooted in and proud of its Afrocentric heritage," [UCC President John] Thomas said. "This is no different than the hundreds of UCC churches from the German Evangelical and Reformed stream that continue to own and celebrate their German heritage, insisting on annual sausage and sauerkraut dinners and singing Stille Nacht on Christmas Eve. Recognizing and celebrating our distinctive racial-ethnic heritages, cultures, languages and customs are what make us unique as a united and uniting denomination." The national offices, however, have been completely silent on Trinity's pattern of appearing to endorse Obama from the pulpit, the impact that it might have on it's own IRS investigation and the new details on Wright's anti-American sermons. He didn't endorse Obama. He was merely commenting on the fact that Obama's race has led to some difficulties in his presidential race, and Hillary doesn't have to deal with that. The approbation Dr. Thomas expressed was for Trinity's use of the phrase "Unapologetically Black" in its advertising, not for Rev. Wright's preaching. It's amazing that there isn't a peep from the national office of the UCC which is undoubtedly getting a black eye from this. Rev. Wright states that the US government sells drugs to its citizens, and the national office compares that to singing Stille Nacht? Why do people wonder when a congregation leaves the fold? After comments like that, why do more congregations NOT leave? Why do we stand for this radicalism, and what Biblical tenets are we porporting? At this point, the conversation needs a counterpoint from someone posting anonymously who says, "Gosh James, why do you report stories by hate groups such as the Wall Street Journal and ABC news, and Good Morning America." James, the only way to redeem yourself is to link to one of Chuck Curries sermon's like they always seem to do on the "official blog"
Oh... btw... just kidding of course... keep scraping up the relevant facts and news nuggets. If Rev. Wright isn't offering endorsements for Obama then what is he doing? He's definitely disparaged Hilary, America, Israel, white-americans, and generally everything not supported by Obama. What does that leave? How can Obama speak from the pulpit at a church gathering? Was Obama preaching the gospel - no - he was giving a political speech at a political rally. That is an endorsement. It's probably a stretch to say that the US goverment buys and sells drugs directly, but the US government HAS backed drug dealers. Anybody remember Noriega? The current drug boom in Afghanistan exists in part because of our policies. We back torturers and dictators with aid money and then say we support democracy out of the other side of our mouths. We have forgotten that our own founding fathers were considered criminals by the English and consider anyone who opposes us to be terrorists. I think God probably IS sick of this s**t.
If UCC does not sanction Rev. Wright and Trinity, I will renounce (or is that denounce AND reject), my membership. I am a UCC seminary student who has long been disgusted with the UCC's garbage. I'll see what they do with Mr. Wright (who I refuse to refer to as "reverend") ... Who knows? Maybe I'll be going back to my Lutheran roots afterall. As a former UCC member, this, among many other things, is why I left the UCC. No faith is free from faults or sin for that matter, but the UCC leaders will act as if there is nothing wrong and that only other faiths are with fault. "Let he without sin, cast the first stone," Mr. Thomas. As for Mr. Wright, he could learn a lot from a great man called Jesus! BTW, I went to one of those German Evangelical UCC churches. We were proud of our German heritage. BUT...we denounced what the Nazi party did to the Jews and we also proclaimed that we are AMERICANS first...Americans of German decent! What a warm friendly welcome from Trinity UCC Chicago. .....and don't forget to boycott Wal-Mart and Sam's Club! (page 14). Justice = damn America and don't shop at Wal-Mart. They can thank Rev Wright and Jim Wallis for the attention. Happy Thanksgiving to you too Craig!!!!!!!! Can't we just talk about love your neighbor and all that other boring stuff? The leadership of the UCC won't denounce and reject Wright. He's a prophet of God in their eyes. John Thomas once said the Axis of Evil “runs the length and breadth of Pennsylvania Avenue." Wright is in the mainstream of the UCC leadership. 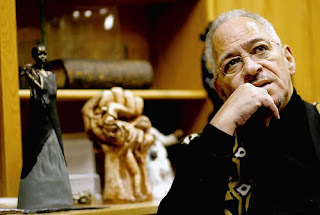 Those of you who are having a hard time with Jeremiah Wright might want to reconsider local church autonomy and the polity of the denomination a little closer. "The UCC" can NOT sanction JW or Trinity. That is up to the Chicago Metro Association of the Illinois Conference. Your willingness to leave over this says much about your commitment to the unity in Christ this denomination proclaims. One wonders who is in the wrong denomination. Oh come on, ...Why not? You mean they can't specifically and technically do anything to directly effect his standing? No UCC oficial seems to have come upon any barrier to praising him ( and spinning off into faux-defenses about Wright, Trinity, and the UCC being under attack. What they could have done is exactly what Sen. Obama ( finally) did. "I categorically denounce any statement that disparages our great country or serves to divide us from our allies. I also believe that words that degrade individuals have no place in our public dialogue, whether it’s on the campaign stump or in the pulpit. "In sum, I reject outright the statements by Rev. Wright that are at issue." "Let me repeat what I’ve said earlier. All of the statements that have been the subject of controversy are ones that I vehemently condemn. They in no way reflect my attitudes and directly contradict my profound love for this country." In a live interview folowing the earlier quotes above, he said that if he had heard repeated comments similar to those in question, he would have "quit the church." The last one is the only one I might differ with- he could choose to stay and help clean up the mess. John Thomas comparing the really bizarre rhetoric of Rev. Wright's speech to sausage and sauerkraut dinners is just stupid. Would Rev. Thomas tolerate a UCC church that preached how gays should be condemned because they are primarily responsible for spreading HIV/AIDS in America? I cannot see him doing that saying something like, 'St. So-and-So UCC is proud of it's independent heritage and it is no different than an African American church holding its annual soul food dinner." No, I can't see it. The church that I left (the one described as the German Evangelical Church) sent its' confirmands to Trinity each year as a "faith-building experience." Each year the kids came back confused as to why Trinity's minister was so mad at white people and why he would always talk about how bad George Bush was. When we confronted the minister and committee that oversaw confirmation, we were rebuked as small minded. So if you want to insinuate that I may have been in the "wrong denomination," that's fine. That kind of judgement is another reason I left. I was "too conservative" as some church leaders put it! So, Don, you can have YOUR UCC. I used to joke around about the ad campaign..."no matter who you are, or where you are on life's journey, you're welcome here...AS LONG AS YOU THINK LIKE WE DO!" Unity in Christ...give me a break, Don! Mr. Wright shows about as much "unity" as a group KKK members at a NAACP convention. Don't preach to me about the autonomy and polity of the denomination. Every time I put my offering in that plate on Sunday, I contributed a percentage to the hate and bigotry that the UCC national church spreads. That percentage that came out of my offering made me GUILTY by association. Sure, I could designate my giving, but my church already made their annual commitments to the larger church and that just meant that the church would take a greater percentage of someone else's tithe to cover what I would not allow to go to the national offering...someone that did not designate their offering. So again, Don, to me, local autonomy and polity is just a curtain the UCC tries to hide behind much like the wizard of Oz...pay no attention to John Thomas behind the curtain!!! If the UCC can march on Washington, pay for advertising, make controversial statements all in the name of the UCC and that they "don't 'speak' for the churches of the UCC," then they can make a GENERIC statement Trinity does not "speak" for the UCC...but my money is on the side that they will not say anything! Thanks for reminding me why I left, Don. Thanks. To all you other anonymous'ers', I feel your pain. Somehow, call it a fluke, I came from a Vineyard church only to find myself working as the youth pastor in a denomination where the diety of Christ is not only questioned but in some cases denied, and scripture is viewed as no more authoritative than the Betty Crocker cookbook I have in the kitchen. Well, should it really surprise us that the mainstream leadership is trying to make cover for an obvious racist? You're all right, the UCC does a heck of a job uniting and being united against any ney-sayers of their politics, or overtly heretical 'non'-doctrines. So, in my journey in, and sometime out of the UCC, I hope I can be some sort of dark horse to help the real truth and love of Christ shine through. That is, so long as I don't get thrown out for disagreeing with people like JW! I'm outta here ! (the UCC)...can't take it anymore...going to a church that preaches Christ.